Then there’s the definition and functionality that a patio pergola brings to a back yard. Greater privacy and protection from the elements means that homeowners have more opportunities to use their outdoor space, whether it’s to host family and friends or simply relax. While the structure itself is designed with comfort in mind, there are plenty of ways to add to this ambiance. 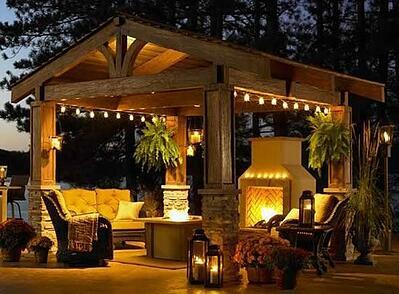 Here are some helpful tips on how to make the most of your patio pergola. By illuminating your patio, lights don’t just enhance the safety and use of your landscape—they also contribute to its beauty. Hanging lights deliver the best of both worlds by improving the general ambiance without taking up too much space. Whether hung from the ceiling or wrapped around columns, these lights are bound to add an elegant touch to pergola structures. Swings have become a popular feature for porches, offering a touch of comfort, charm and style. These elements can have the same effect on pergola structures. While a great place to hang out on a regular basis, a swing can be especially useful on hot summer days when all you want to do is catch a cool breeze. 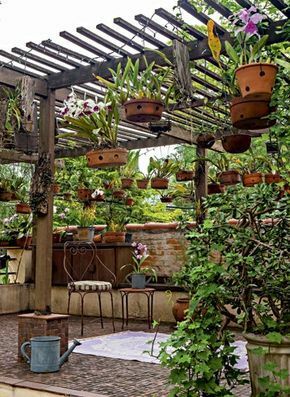 If you’re interested in growing your own plants, veggies and herbs, you can do that in your patio pergola. And with an investment in hanging baskets, you won’t need much floor space to make this happen. The outdoor area remains tidy and clean, while the baskets themselves require little maintenance and contribute a fresh, natural smell to the environment. 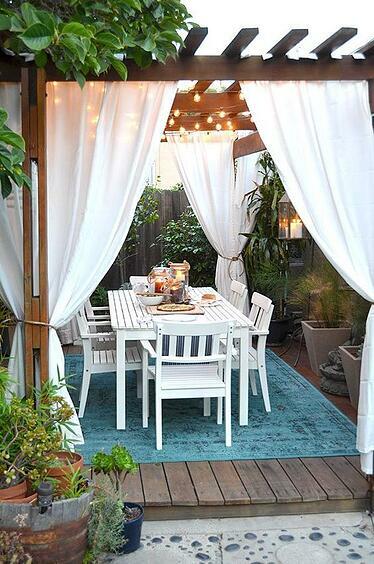 Don’t be afraid to get creative with the colors you include in your patio pergola. After all, accents of bright, modern hues can liven up the area and even create the illusion of a larger landscape. 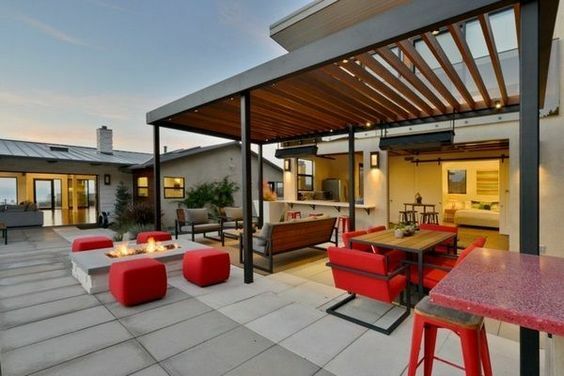 Consider the addition of colorful patio furniture like tables and chairs, bright pillows and cheery flowers. Fabrics are an integral part of what makes the indoors comfortable. 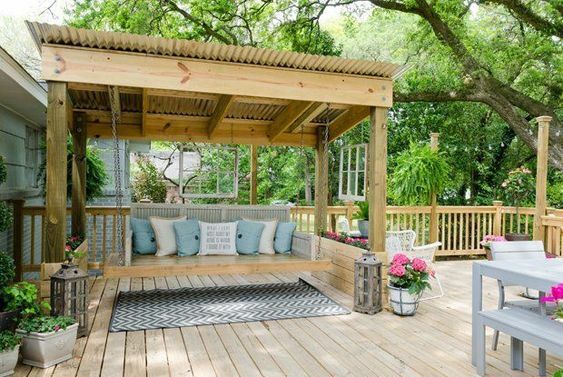 By including fabrics like curtains, tablecloths and blankets in your pergola space, the structure takes on a similar dynamic—all while making it easier to regulate your patio temperature. Be sure to select high-quality materials that are able to withstand various environmental conditions. 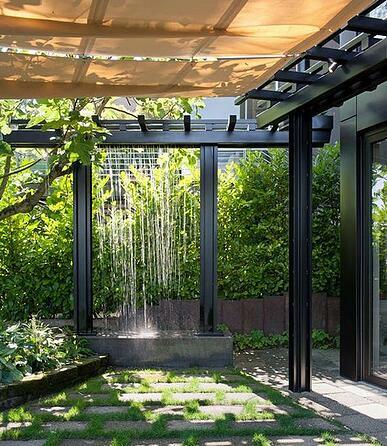 With the soothing sounds of nature, water features add serenity to any outdoor area. The versatile nature of these amenities means there are many opportunities to incorporate them into patio pergolas. Investing in such features combines therapeutic benefits with a striking visual appeal guests are sure to admire. Thinking about making a patio pergola part of your landscape? 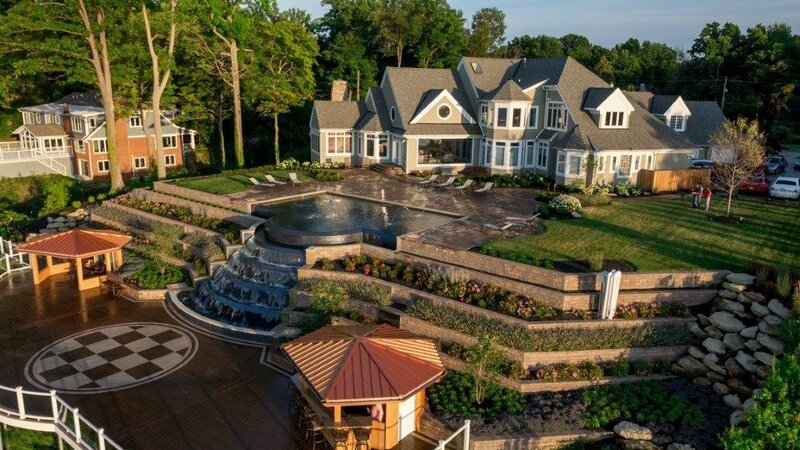 The experienced team at Green Impressions can help design a structure that not only meets but exceeds your expectations. Download a copy of our 2018 Lookbook to see some of the designs we’ve created for our clients and gain inspiration for your own project.